Without a doubt the breakout character and star of the DuckTales reboot has been Flintheart Glomgold. I mean he was a popular character in both the comics and classic DuckTales, but he oozes charisma in the new show. He has the best lines in the show and he is hilarious. I was so pleased to see Glomgold get an action figure in the PhatMojo DuckTales action figure line of toys. The action figure solo packs retail for $8.99. The action figures are exclusive to Target stores. You can order one at Target online here. The back of the box is the same for all of the PhatMojo DuckTales action figure releases. It shows all of the characters that make up the series: Donald Duck, Scrooge McDuck, Launchpad McQuack, Flontheart Glomgold, Louie and Webby (2-Pack), and Dewey and Huey (2-Pack). The yellow sign on the back says Collect Them All, and I agree with that statement. This is a great start for what I hope is a first wave of PhatMojo DuckTales action figures. Each of the characters in this toy line come with accessories. Flintheart Glomgold comes with a cane and a giant blue diamond. The cane fits nicely into his left hand. It is really hard to get Glomgold to hold the diamond. Glomgold has five points of articulation: Head, both arms, and both feet. He stands really well on his own. I love this figure, and I feel like it is a perfect representation of the character in action figure form. I HIGHLY RECOMMEND this figure if you are a fan of the show as he is perfect for play or display. *The picture above is Glomgold next to his bestie Scrooge McDuck covered in gold. The Scrooge McDuck figure was a 2018 SDCC exclusive figure, and it does not come with the Flintheart Glomgold figure. There are so many characters to choose from, but which characters would you like to see included in a wave 2 of PhatMojo DuckTales figures? 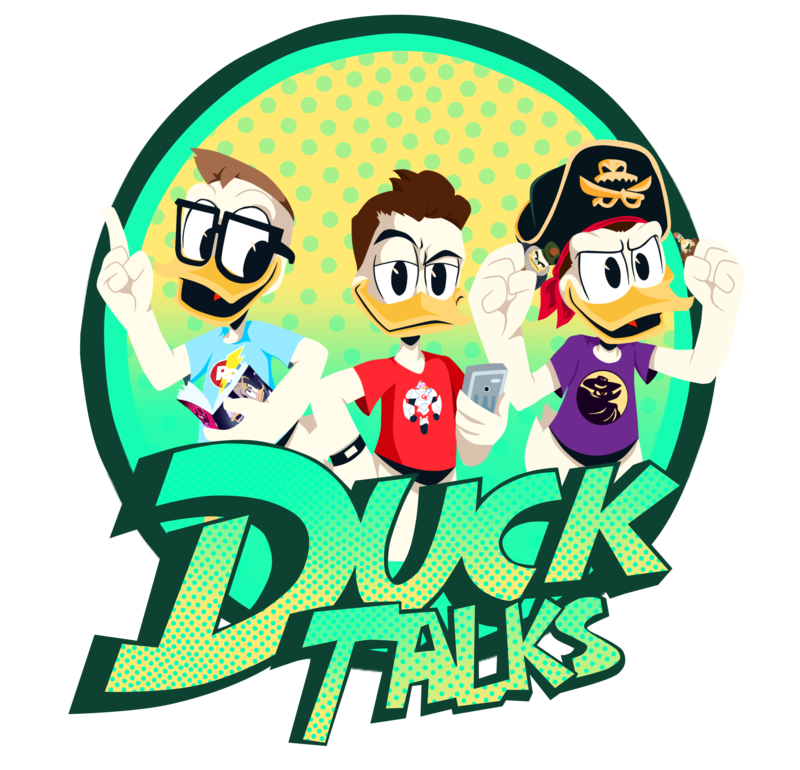 Comment below or tweet us @DuckTalks…especially if that answer is Darkwing Duck and Gizmoduck.